Healing Hands is proud to announce that we have recently added MORE services to help you heal! 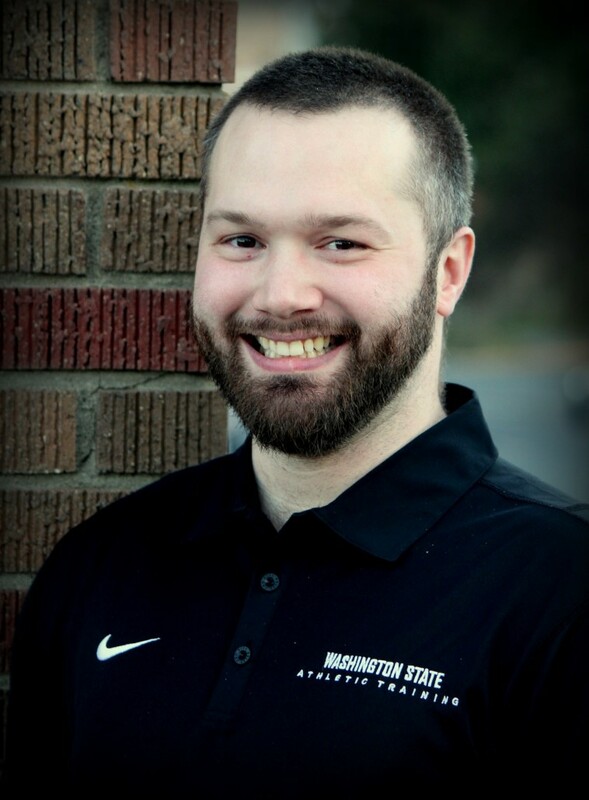 In addition to being a licensed massage practitioner at Healing Hands, David Osborne is also a licensed and certified Athletic Trainer. With this additional education, training, and experience, he is able to provide a rich complement to the therapeutic services offered in our clinic. Thank you for taking the time to learn more about the additional services now being offered at Healing Hands! For many of you, Athletic Training is probably a new profession and you may have a lot of questions. Don’t worry, I understand. That is why we have included educational information on the bottom of this page. We hope that it will help provide answers to some of your initial questions. Athletic Training is for the athlete inside everyone, so age and fitness level is not an issue. Together we can improve or get your “game” back, even if no sports are involved! We’ll take a look at your injury/pain level, health considerations and performance goals. You’ll be able to expect treatment that effectively addresses dysfunctions you are experiencing and working with your healthcare provider, we can create an outcome that is beneficial to your overall health. The most important aspect of each AT session is that it is always specifically tailored to you! Please feel free to talk to your primary care provider to help determine if my services would provide you with benefit, assistance during injury rehab, and/or pain relief, and contact Healing Hands with any specific questions you may have. I am ALWAYS happy to help answer questions or discuss services that might be beneficial for you to consider. Hope to see you in the office soon and until then, here’s wishing you the best and safest of wishes in all your activities and endeavors! For additional information about David’s background, education and experience, please view his FULL BIO. What exactly is an Athletic Trainer? An athletic trainer (AT) is a highly educated and skilled professional specializing in the prevention, treatment and rehabilitation of injuries. In cooperation with physicians and other allied health personnel, the AT-C functions as an integral member of the athletic healthcare team in a variety of environments. Athletic trainers work in physician offices as physician extenders. They also work in rural and urban hospitals, hospital emergency rooms, urgent and ambulatory care centers, military hospitals, physical therapy clinics, secondary schools, colleges/universities, youth leagues, commercial settings and professional sports teams. They are in great demand for their versatile health and wellness services and injury and illness prevention skills. They are in great demand for their versatile health and wellness services and injury and illness prevention skills. The skills of ATs have been sought and valued by sports medicine specialists and other physicians for more than 60 years. As the U.S. continues its focus on reducing the effects of obesity and other chronic diseases, it is important that people have access to health care professionals who can support lifelong, safe physical activity. ATs are an important part of the health care workforce and improve patient functional and physical outcomes. Get more facts from the National Athletic Trainer’s Association here! Who Can Benefit From AT Services? Certified athletic trainers care for a wide variety of working professionals, such as: performing artists, firefighters, police officers, and even those who have retired, but want to maintain healthy balance, posture, and increased activities of daily living. Athletic trainers are trained to ensure they are performing all exercises with proper body mechanics and other health care considerations. In these roles, they are able to focus the passion that they have for competition to work/goal specificity. Athletic training is not the same profession as personal training. And certified athletic trainers work with more than just athletes – they can be found just about anywhere that people are physically active. To become certified athletic trainers, students must graduate with bachelors or master’s degree from an accredited professional athletic training education program and pass a comprehensive test administered by the Board of Certification. Once certified, they must meet ongoing continuing education requirements in order to remain certified. The very name and title of an Athletic Trainer, often leaves people confused. Most often they are confused as a personal trainer or fitness coach. While some of their specializations can overlap into that field, here are very important differences between these two professions. The National Athletic Training Association (NATA) has developed a document entitled, Athletic Trainers vs Personal Trainers, to help further clarify these different fields of care. The documented history of athletic training began in 1950 with the foundation of the National Athletic Trainers’ Association, but it is believed that athletic trainers were first recognized at the Olympic games in the early 20th century to aid athletes when they sustained injuries. In the United States, athletic trainers were more widely recognized when intercollegiate and interscholastic sports began and grew in popularity. The first athletic training curriculum approved by NATA was in 1959 and the amount of athletic training programs began to grow throughout colleges and universities in the United States. In the early development of the major, athletic training was geared more towards prepping the student for teaching at the secondary level, emphasizing on health and physical education. Throughout the years athletic training has continued to evolve and grow into the definition of health care professionals who work with physicians to specialize in preventing, recognizing, managing, and rehabilitating injuries. The Board of Certification (BOC) has been responsible for the certification of Athletic Trainers (ATs) since 1969. The BOC was the certification arm of the professional membership organization the National Athletic Trainers’ Association (NATA) until 1989 when the BOC became an independent non-profit organization. The BOC has the only accredited certification program for ATs in the US. The Board of Certification, Inc. (BOC) has been responsible for the certification of Athletic Trainers (ATs) since 1969. The BOC was the certification arm of the professional membership organization the National Athletic Trainers’ Association (NATA) until 1989 when the BOC became an independent non-profit organization. The BOC has the only accredited certification program for ATs in the US. Since 1982, the BOC has been continuously accredited by the National Commission for Certifying Agencies (NCCA). The BOC must undergo review and reaccreditation every 5 years through the NCCA, which is the accreditation body of Institute for Credentialing Excellence (ICE). As information continually changes, it is important for professionals to learn the latest about athletic training. ATs must complete a predetermined number of continuing education units (CEUs) within a given time period. Continuing education (CE) requirements are intended to promote continued competence, development of current knowledge and skills and enhancement of professional skills and judgment beyond the levels required for entry-level practice. CE activities must focus on increasing knowledge, skills and abilities related to the practice of athletic training. A collection of surgeons, athletic directors, and physicians tell why an athletic trainer is critical to keeping physically active people safe. Watch this short advocacy video to better understand the profession of an Athletic Trainer and how they can help you!